Smorgasbord is, well, a smorgasbord of riding. At the top, it starts all a pedal-to-the-metal sprint down a fire road. Control is key here; letting you inhibitions waver could lead to some disastrous consequences. Continuing into the trees, the trail completely changes character. 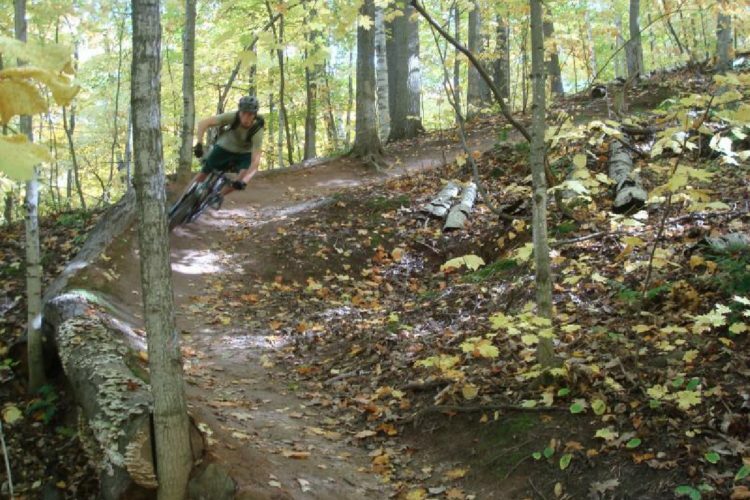 Big berms, rollers, jumps, drops, and wooden features now consist of the trail's obstacles. Luckily, most of the features are forgiving, so if you seriously case a jump, you won't be completely screwed. Before you know it, you'll be let out at the skills park, where you can either session some features or go back up the lifts for some more. Smorgasbord MTB Trail 0.00 out of 5 based on 0 ratings. 0 user reviews.